As most Checker owners can attest, when ask by a car show spectator “what year is it” there is usually disbelief that their Checker was not produced in the 50’s. Whether it’s a 1982 model or a 1965 model, the spectator always appears skeptical, the same is true when that same spectator asks “when did Checker go out of business”, that same level of disbelief comes across their face when they hear the answer 2010. 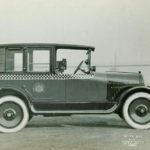 Many are not aware that Checker was involved in more than taxicab assembly, its just not a name that people hear a lot about in the auto industry. Checker always operated some form of third party manufacturing and it kept the company afloat until 2009. Checker first started making vans via a third party agreement in the 30’s. 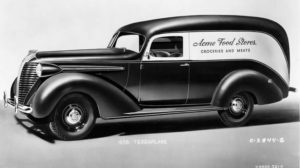 Checker Cab Manufacturing Company produced the panel van bodies for Hudson. 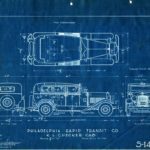 Initially the bodies were produced by York-Hoover who built the panel deliveries from 1935 through 1937. 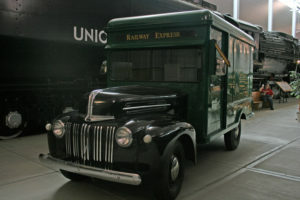 Checker cab took over production from York-Hoover, all Hudson vans produced during the period 1938 thru 1940 had bodies manufactured by Checker. As the World War II forced American auto industry to support the war effort. 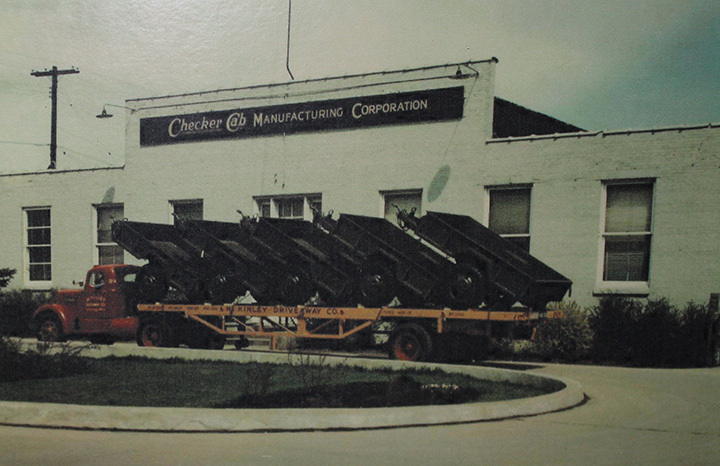 Checker picked up a series of contracts to produce trailers for the US Signal Corps. Additionally Checker sealed a contract for production of Jeep trailers; both cargo and the water buffalo trailers. 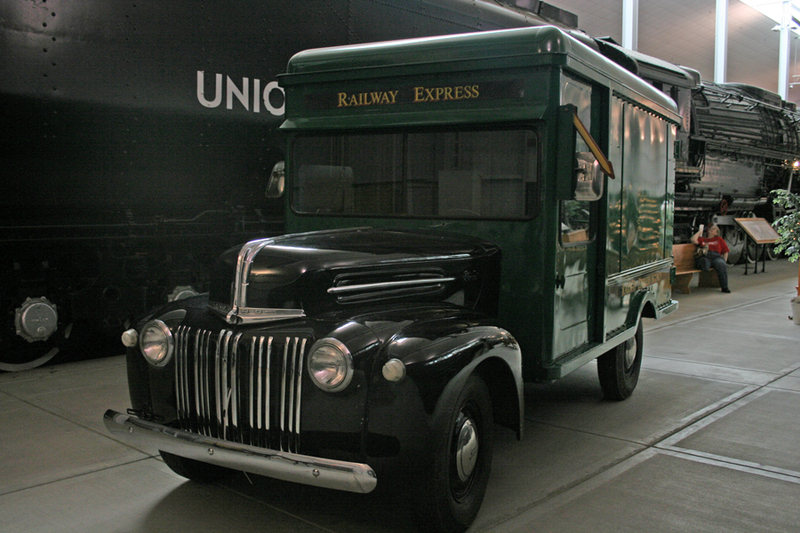 After the war Checker sealed a contract to produce van bodies for the Railway Express Agency. Much like UPS vans today, REA vans delivered parcels across the 48 continental states proving door to door parcel delivery in vans produced by Checker. 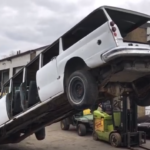 The van bodies produced by Checker would be mated to various Ford, Studebaker and International one ton cab chassis combinations. 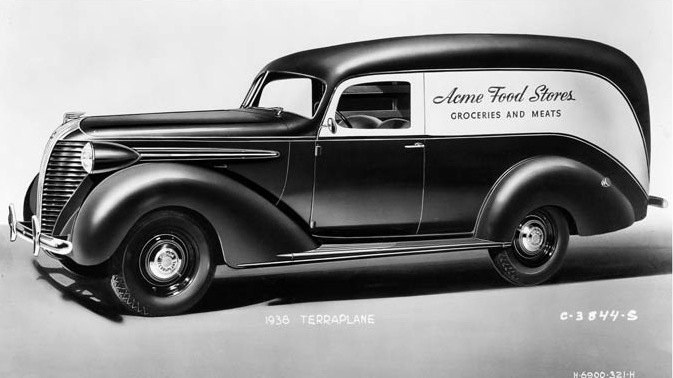 Van production for REA most likely help Checker stay in business while a new post war Checker had yet to be designed until 1947. Throughout the 50’s and 60’s Checker continued to support third party manufacturing. 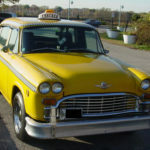 During the 1970’s as sales of the Checker A11 taxicab started to fall, David Markin determined that the third party manufacturing business could augment the Checker automobile manufacturing and keep the company afloat. 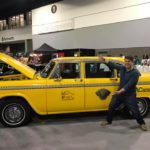 As Checker Cab sales continued to slump in the down US economy of the early 1980, David Markin had to make a decision, continue car production or shift the business completely to third party production expansion. 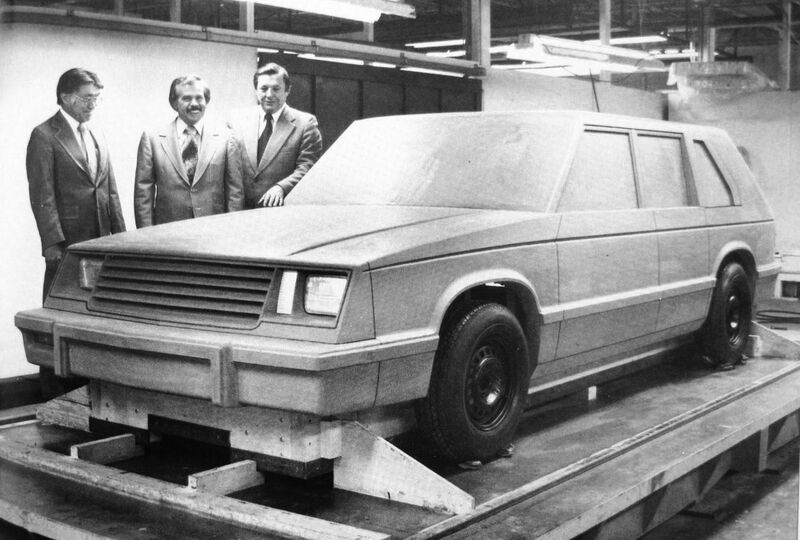 By 1982 Checker was into third party manufacturing in a big way. 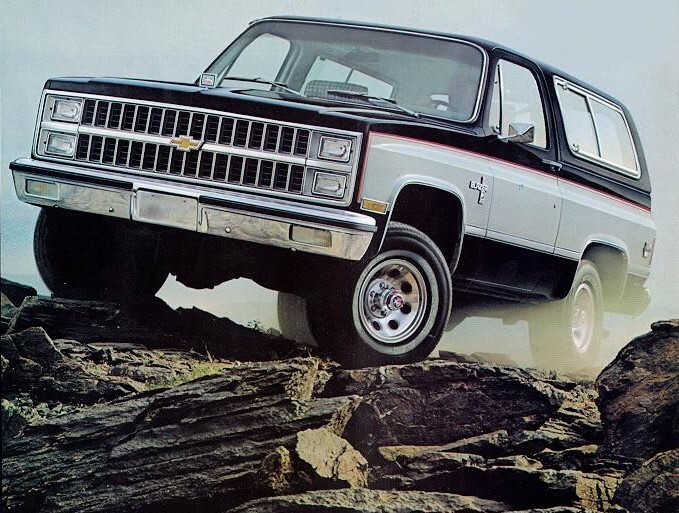 For GM alone, Checker was manufacturing the following for Chevrolet: Chevy step-side pickup bed, Suburban tailgate, Blazer tailgate and Monte Carlo fenders. 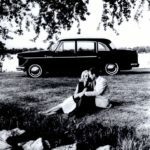 Meanwhile Markin was also faced with a major decision, should the classic Checker Model A11 taxicab be replaced with a new model, or should more capital be invested into further third party manufacturing? By the 1980s, the US had gone through two energy crises, one in 1973 and one in 1979. Clearly it was time for Checker to consider developing a modern fuel-efficient taxi that would allow Checker to produce cars into the next century. Checker attempted to introduce a new cab in early 1981. CMC signed a contract with design firm Autodynamics to develop the new Checker. The project was called Galva II, the design that would incorporate the latest GM components developed under the GM X-Car program with a new heavy duty Checker hatchback body. Over the next 25 years, Checker would fully invest in third party contract manufacturing. 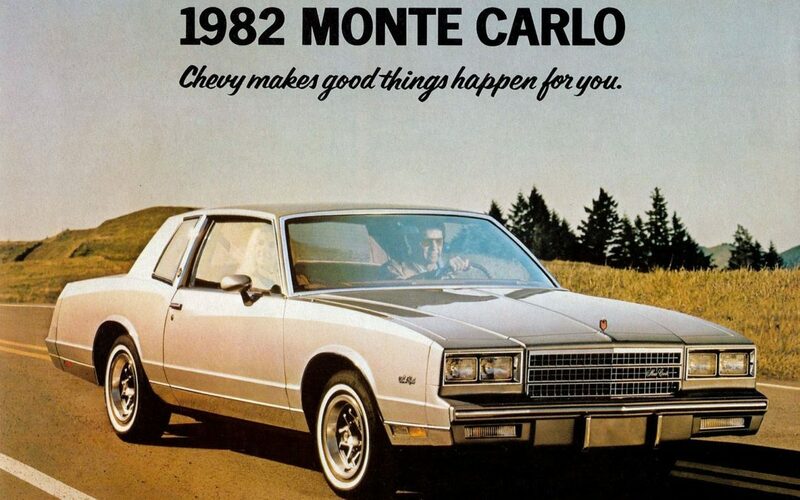 If you drive a General Motor or Chrysler product produced after 1980, there is a very good chance you’re driving a vehicle that has something made from Checker! If your vehicle is a Saturn, it has a Checker trunk lid. If it’s a Cadillac CTS, the chassis was made by Checker. If you’re driving a Chrysler minivan, its quite possible that you are seated under a roof made by Checker. In 2008, due to the late-2000s recession and high gasoline prices, sales at GM and other automakers plummeted. As a major supplier to GM, Checker saw its sales drop significantly. The company had net sales of $61 million in 2008 and projected 2009 sales of only $34.5 million, a decline of 43%. During the summer of 2008, Checker employed about 340 workers. 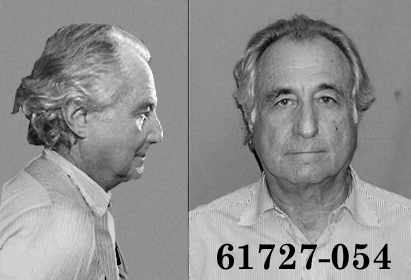 While the US economy was in full recession, Checker Motors CEO David Markin fell victim to the Ponzi scheme started and run by Bernie Madoff. David Markin’s corporate name appears five times on the official US Department of Justice victims list of Madoff victims. 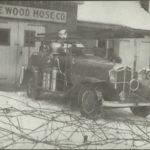 One address on the list was 2016 North Pitcher Street, Kalamazoo, the same address as Checker Motors Corp.
On January 16, 2009, the 87-year-old Kalamazoo company filed in U.S. Bankruptcy Court in Grand Rapids, Michigan. Escalating raw material prices and dwindling sales for their customers’ products were cited as the main reasons for the filing, but another reason was labor costs. It was reported that a deal with unionized labor could not be reached after a year of negotiations. 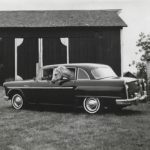 At the time of the bankruptcy, Checker’s customer base included General Motors, Chrysler LLC, Ford Motor Company, Navistar International and GM Shanghai. GM and Chrysler followed Checker’s bankruptcy just several months later. On April 4, 2009, Checker notified its employees that CMC would close its business by the end of June. In May, Checker was given permission to enter into agreements with General Motors Corp. that were intended to help the bankrupt supplier stay afloat until it could negotiate the sale of itself to a new owner. Checker soon announced that they found a potential buyer, the Narmco Group and on June 9, 2009, Judge Gregg approved the sale of Checker Motors Corp. to the subsidiaries of two Canadian automotive suppliers, Narmco Group LLC and Van-Rob Inc. The Narmco Group, based in Windsor, Ontario, paid $650,000 for Checker’s business of making stamped metal and welded assemblies for GM trucks and other vehicles. Van-Rob Inc., based in Aurora, Ontario, paid $950,000 for some of Checker’s manufacturing equipment. 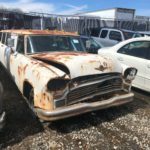 The $1.6 million sale meant the end of the road for Checker. 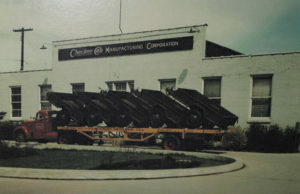 About 125 Checker workers in Kalamazoo made parts until June 30, then the business was transferred to Canada. In July 2009, General Motors Corp paid $1.5 million to Walker Tool and Dies for tools and dies that remained on site at Checker. Walker Tool had liens on the tools, so payment was required to move the tools to Canada. The tooling was transferred to Canada to make the Buick Lacrosse. On January 14, 2010, the Checker Motor Company ceased to exist with the sale of its Kalamazoo headquarters. It was purchased for just under $3 million by a holding company, the Jones Group, which will sell off the assets and clear the 72 acres. Checker president David Markin was quoted in the New York Times, “It’s finished. Our family is very distressed about the closing of the company, but it became inevitable. 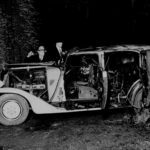 Such a sad end to a company that had a great, and largely unheralded, impact on the auto industry and American history. I learned to drive in one of our Checker Cabs when I was a kid. The first car I owned was an ’82 GMC Jimmy, and today I drive a 2010 Buick LaCrosse, Little did I know I had never really stopped driving a Checker product, at least not for long. My kids will learn to drive in my ’76 A-11 someday. Perhaps their children will as well.